Just a quick post today to wish you all a super safe and happy Halloween!! Brennen is rocking his Ninja Turtle costume, our teal pumpkin is sitting on our doorstep, and we have our non-food treats ready for tonight! I always love seeing the little ones from the neighbourhood dressed up in their costumes. I never know how many trick-or-treaters to expect, and I am second guessing myself right now thinking I don't have enough stuff, but I'm sure we will be fine! Andrew and Brennen and I had a great time yesterday at the Halloween party at Easter Seals. There was such a crowd of families, and many new little ones we hadn't met before. So many awesome costumes and even more awesome kiddos. You guys are amazing. Though this is a fun time of year for most, holidays like Halloween can be challenging for families who have children with special needs. I want to share with you a wonderful resource created by CanChild. 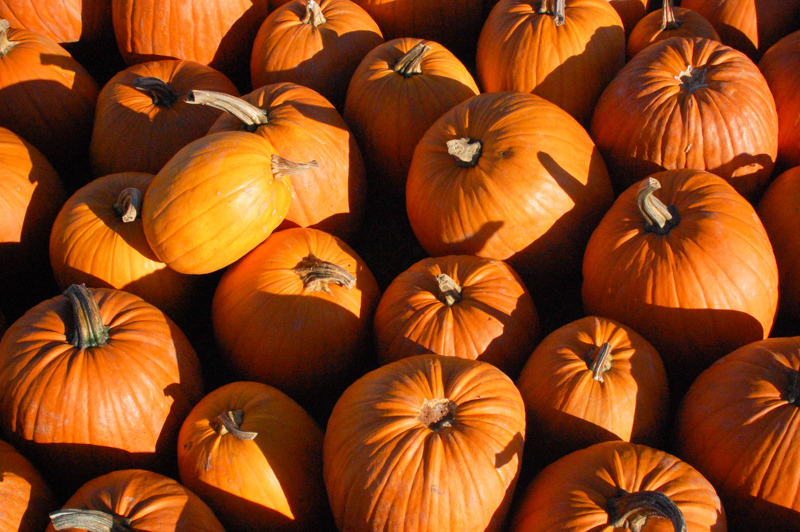 If things such as loud noises, bright lights, crowds, stairs, cold weather, allergies, or food sensitivities are an issue for your child, here is a list of things you can do as a family to make Halloween extra fun! See HERE. 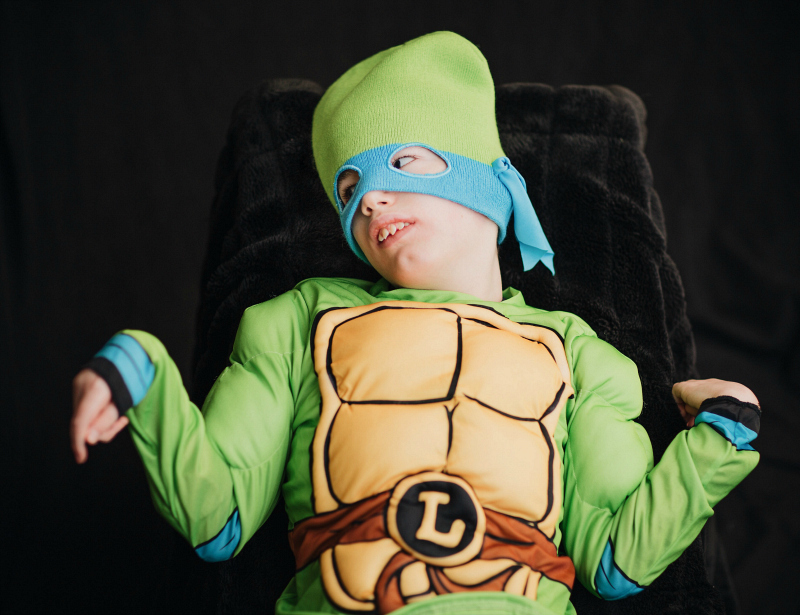 We learned long ago that things don't always go as planned, so I promise you will be doing yourself a favour if you don't put too much pressure on yourself, or on your child this Halloween. Remember to have fun! Things don't have to be perfect to be amazing. 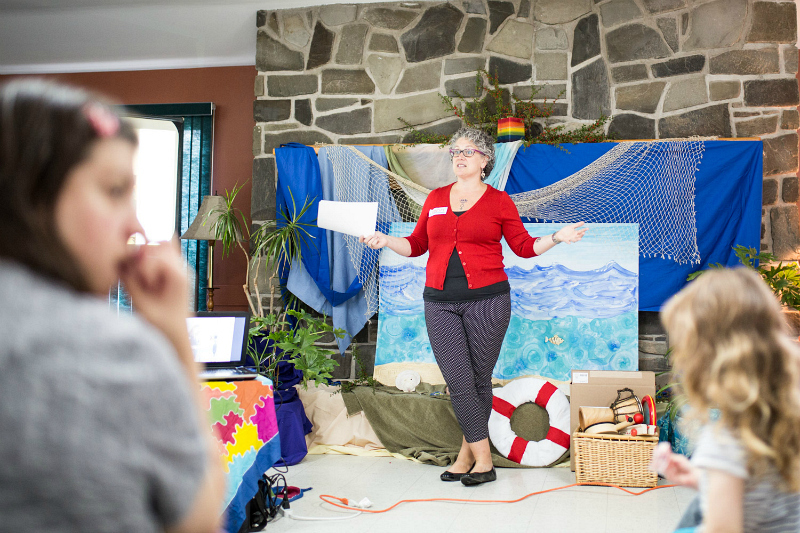 Cornerstone Housing Society recently hosted a weekend event called "Launching the Boat: Introducing L'Arche to Newfoundland and Labrador". 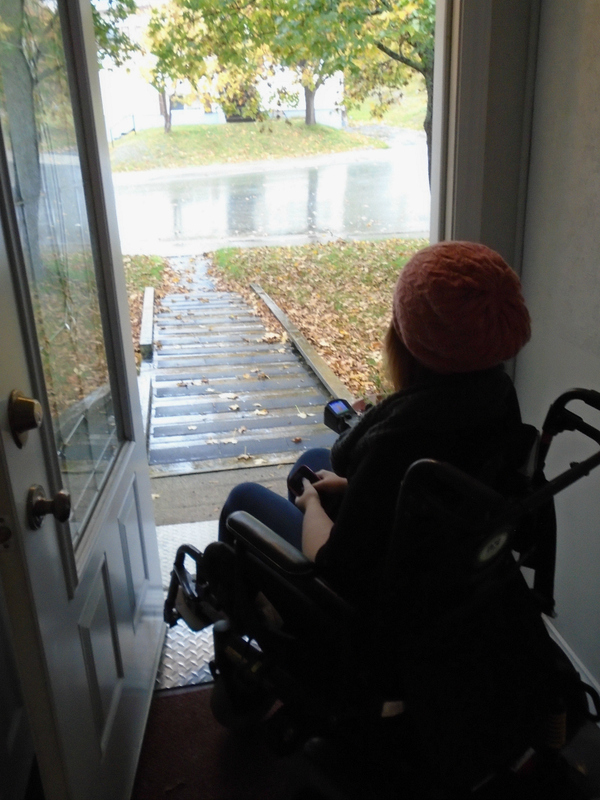 I wrote about my experience with Cornerstone Housing Society and L'Arche earlier this year, and you can see that post HERE. L'Arche communities are homes for adults with intellectual disabilities who live with assistants in family-like settings. L'Arche - French for 'the ark' - was founded in 1964 by Jean Vanier. Today it is an international federation with 149 communities worldwide, 29 of which are in Canada. 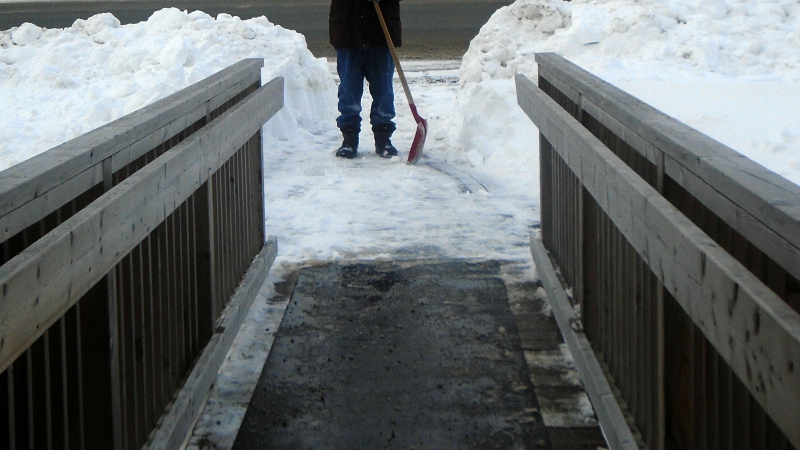 There is, however, not yet a L'Arche community in Newfoundland and Labrador. Cornerstone Housing Society is a Newfoundland-based incorporated charitable organization that is run by volunteers. 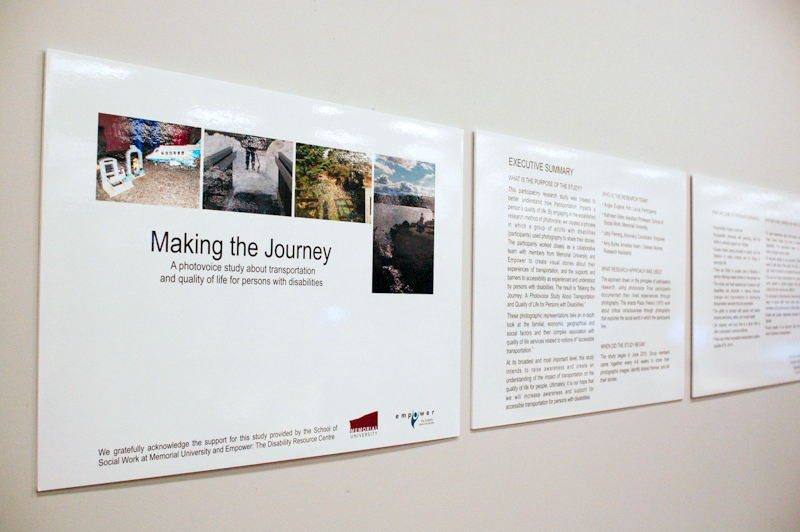 Cornerstone's vision is to establish and sustain a L'Arche community in the St. John's region. 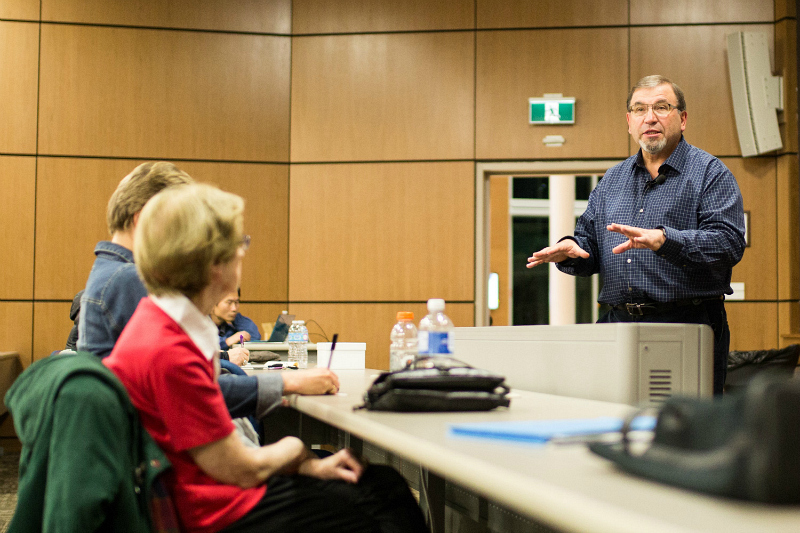 The opening event was held at the MUN Medical School Lecture Theatre, and included a keynote address by Raphael Amato. 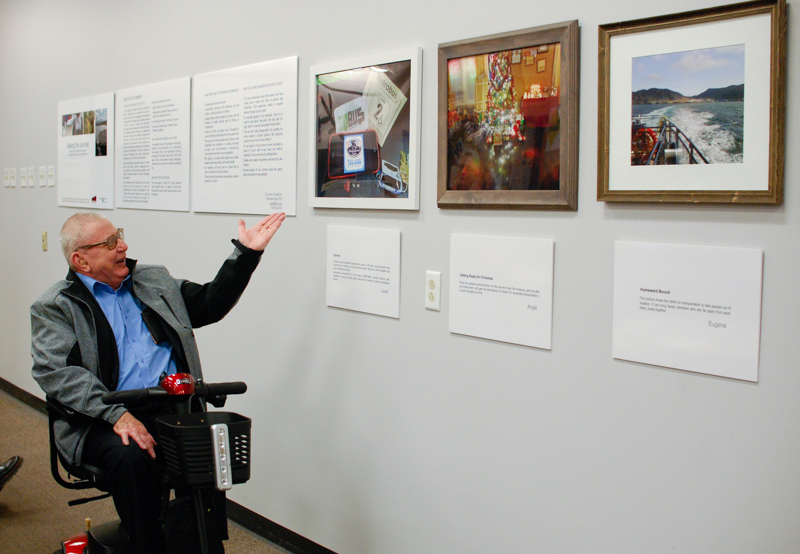 Raphael Amato has been a L'Arche member for 30 years. As outreach officer for L'Arche Ottawa, Raphael has been actively involved in disseminating the mission, vision and values of Jean Vanier and L'Arche in the National Capital Region with the aim of fostering a more human and caring society. 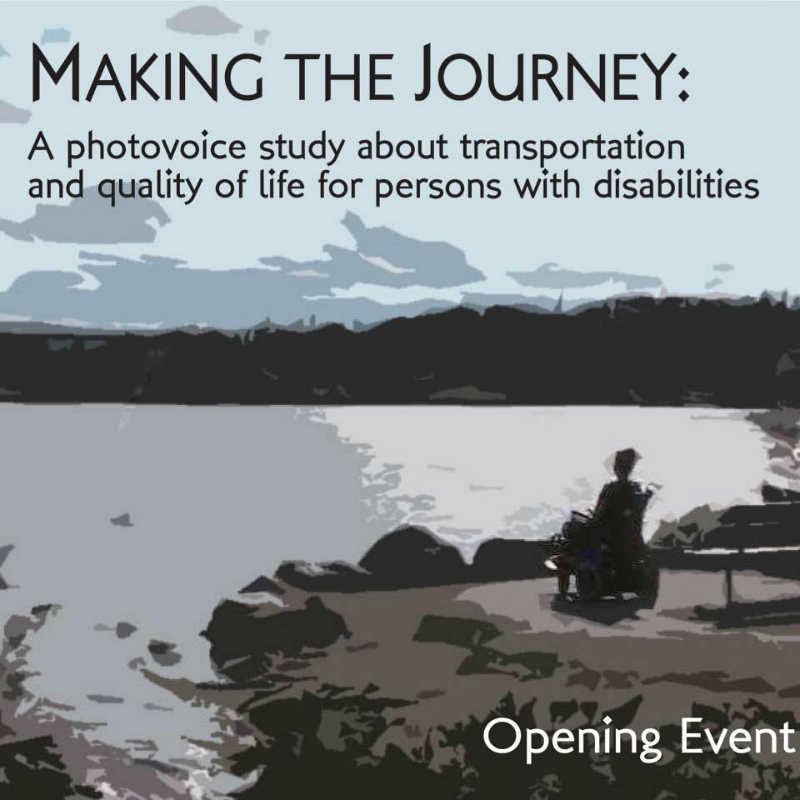 Raphael presented "Lessons from Sharing Life with People with Developmental Disabilities". 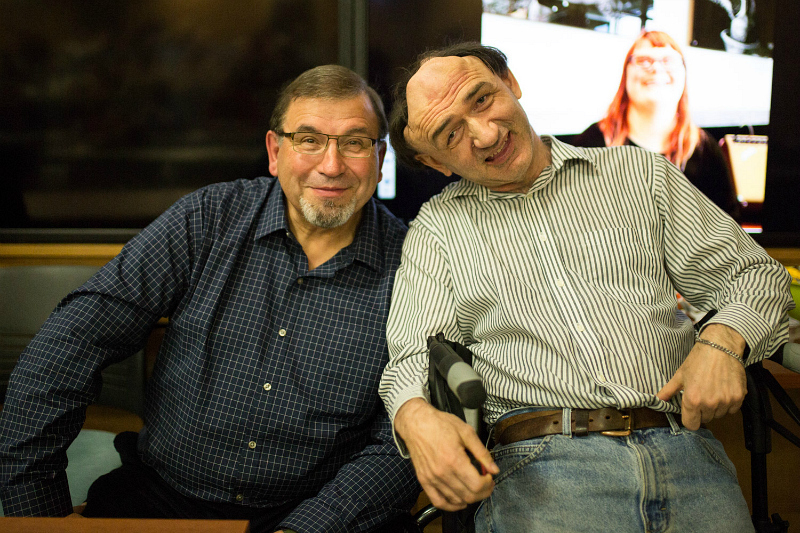 He spoke about learning from people with disabilities, mutual relationships, transformation through human encounters, and challenging society and organizational structures. Raphael stressed the fact that L'Arche homes are not group homes, but instead they are a community of people who care for each other. He spoke eloquently about the difference between caring for someone and being in a relationship with someone, saying that if all you do is take care of a person, you are missing something! We learn fundamentally from each other, and I know from experience that there is so much we can learn when we share our lives with others and embrace each other's differences. Raphael's talk was followed by a panel discussion on the L'Arche community model. 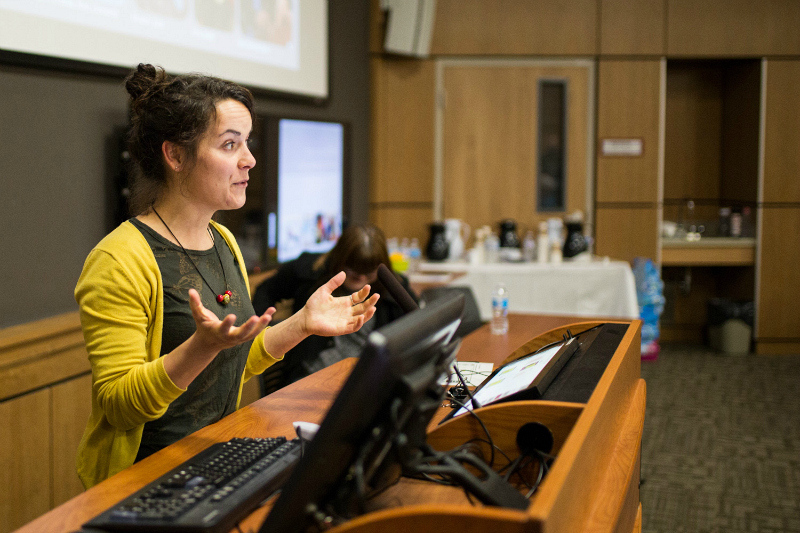 Panelists included Sarah Parisio, whose involvement in L'Arche began in Ontario, where her parents were involved in founding L'Arche London. 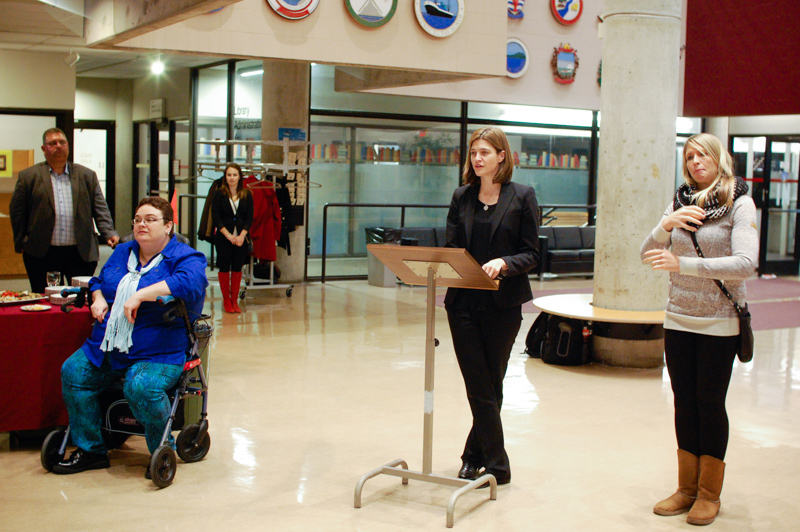 Sarah has since taken on various roles in L'Arche communities in both Canada and Italy. Upon arriving in St. John's, she sought out Cornerstone Housing Society and quickly became an active community member, joining the Board of Directors in July, 2016. 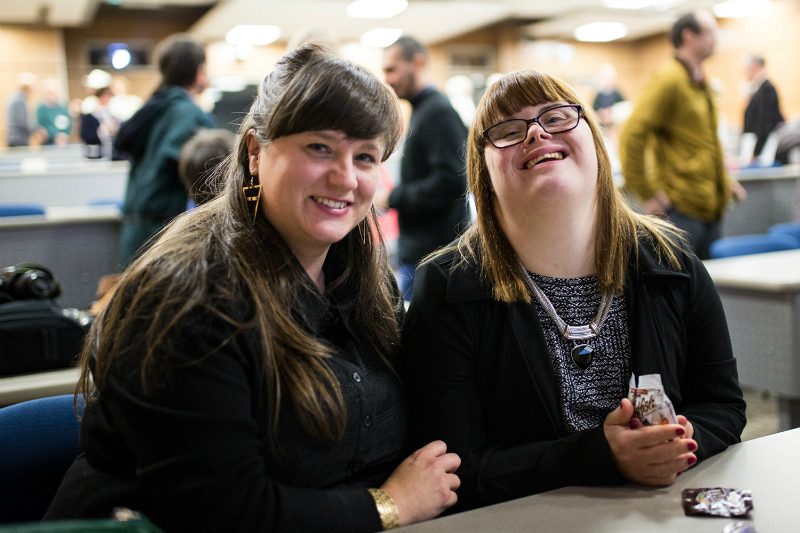 For Sarah, L'Arche and CHS are places of belonging, and it is in large part thanks to these relationships that she has come to feel at home in our province. Sarah believes in the value of community and she has a desire to live and encourage authentic relationships across difference. Sarah presented on the model of care on which L'Arche is based, to demonstrate the unique features of L'Arche that you don't find in other services for people with disabilities. 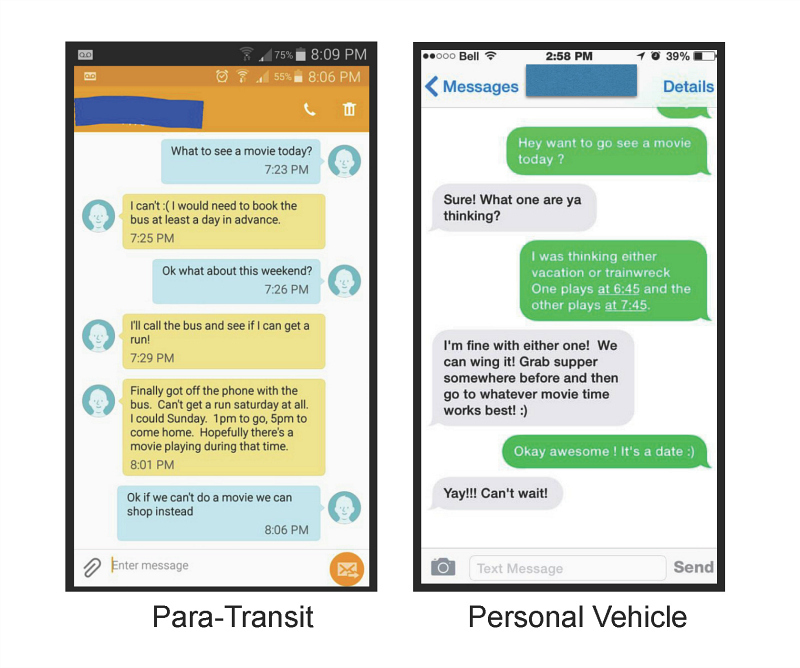 She described the conventional care model vs. the mutual care model, and explained that relationships are the foundation of mutual care, and the mutual well-being of both people who are involved in the relationship is considered. 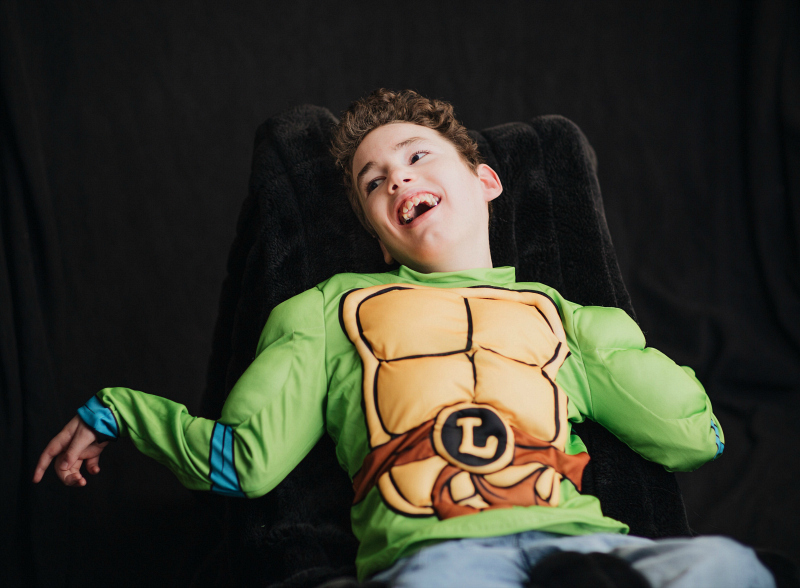 "These relationships allow people to overcome some of the dominant conceptions that we have about people with intellectual disabilities, and about disability in general, so we're going from looking at the disability to looking at the person and beyond." Sarah believes, as Jean Vanier does, that "L'Arche serves as a sign for our society that there is a different way of living, that you can live with people who are very different from you and that can be a very beautiful thing." 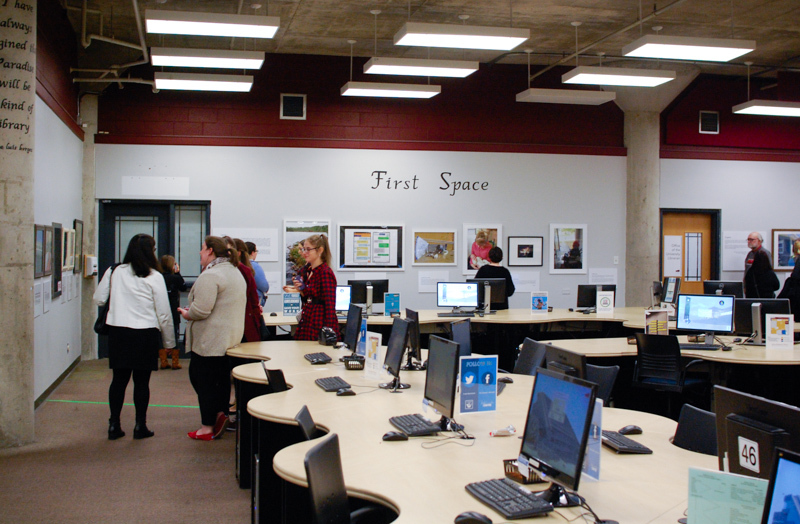 She closed by saying, "Mutuality in relationships across difference is a meaningful endeavour that searches to empower and uplift all members of the community. 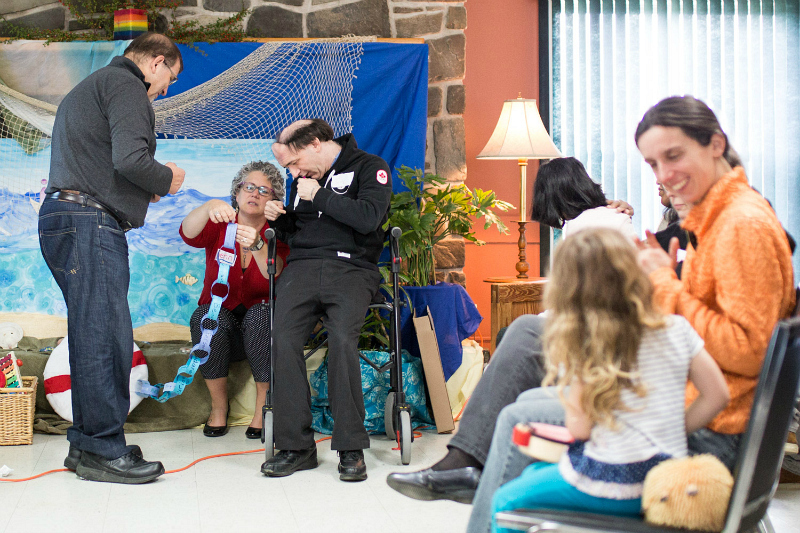 L'Arche isn't about people with intellectual disabilities alone. It's about every person who belongs to that community, and so it's as much a worthwhile thing for me to do as it is for anyone else." Also on the panel was Krista Simmons, an emerging artist and Core Member of L'Arche, who just celebrated her 10th anniversary as a member of L'Arche Saint John. She is passionate about community, working hard and staying healthy. 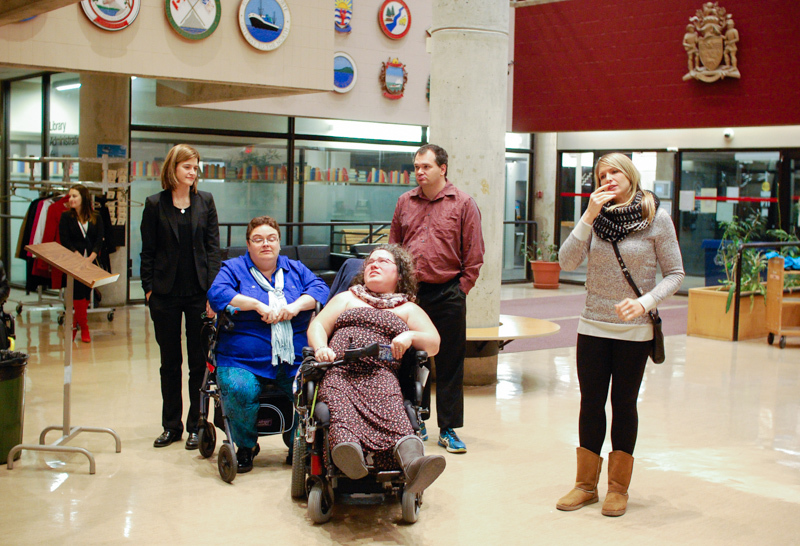 Krista was happy to make her second trip to Newfoundland, and to share the impact that L'Arche has had on her life. Cornerstone Housing Society also hosted a L'Arche Community Day at Rotary Sunshine Park. 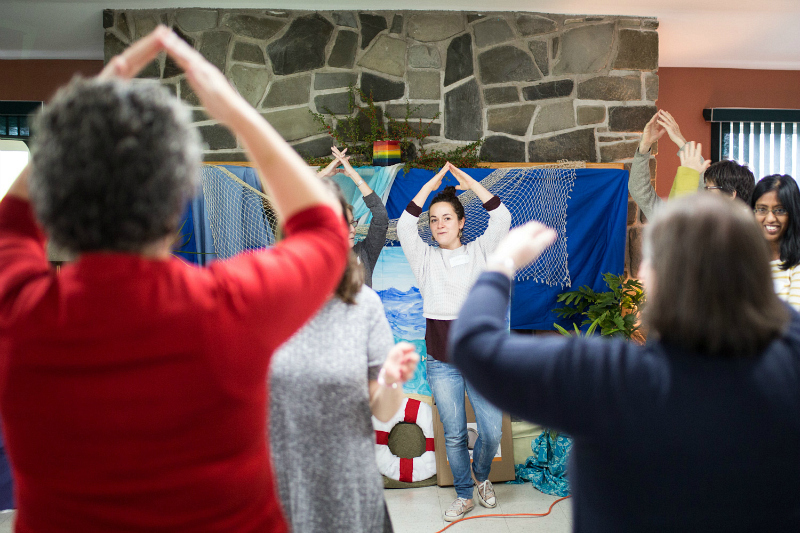 This event showcased many of the activities that would take place in a L'Arche home, such as storytelling, music-making, arts and crafts, and time spent together just getting to know each other. Thanks to Marc Lafrenière for these beautiful photos! 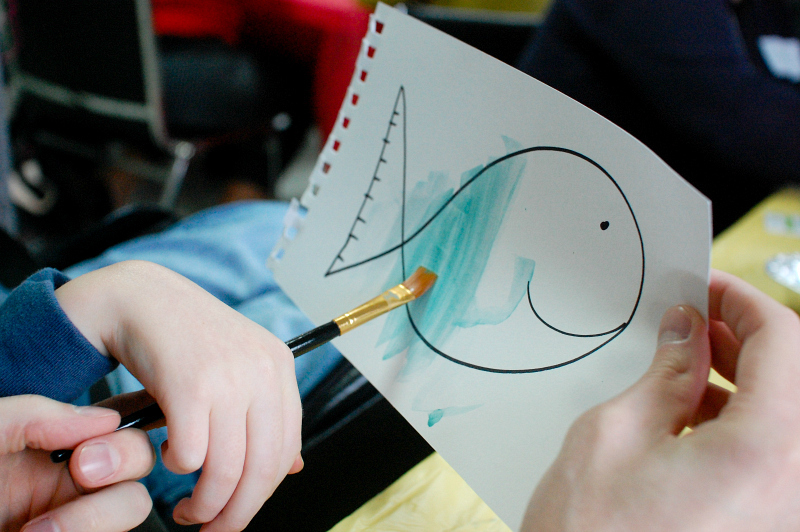 We had lots of fun singing songs, painting fish, and making some new friends! We always feel very welcome when we attend meetings or events with Cornerstone Housing Society. They have embraced my family with open arms, and there is a sense of worthiness - of being loved and feeling a great sense of belonging in a community where we are recognized for who we are. I was glad to see such a large turnout to the events this past weekend. It shows that people are interested in creating opportunities for individuals with disabilities and for families like mine. 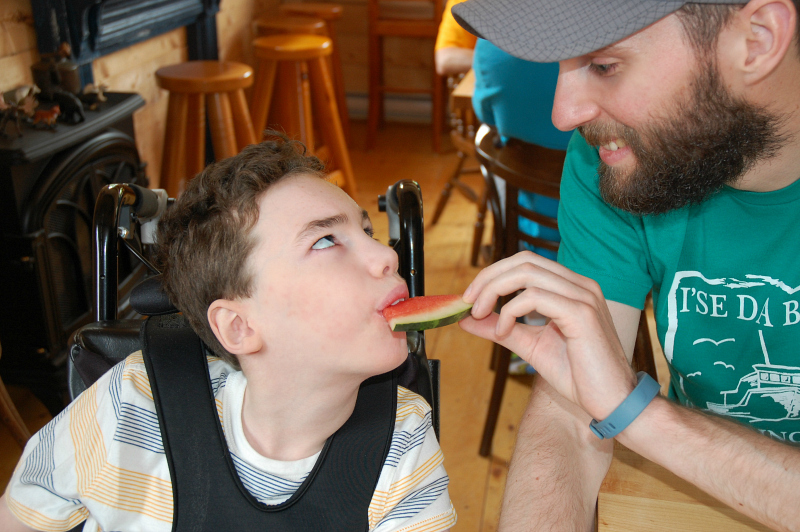 Parents just want their children to belong, and that is the core of L'Arche communities. Everyone belongs. Everyone is treated with respect, and kindness, and compassion, and that is exactly what I want for my son.. and for our society as a whole. I try to educate people about disabilities, but the reality is that we learn more about each other through living together and recognizing that every single one of us has areas that require help and support. In 2014, my family participated in the first ever Teal Pumpkin Project. Last year, there was an overwhelming response to the initiative, and this year, we are helping to make the project even bigger and better! 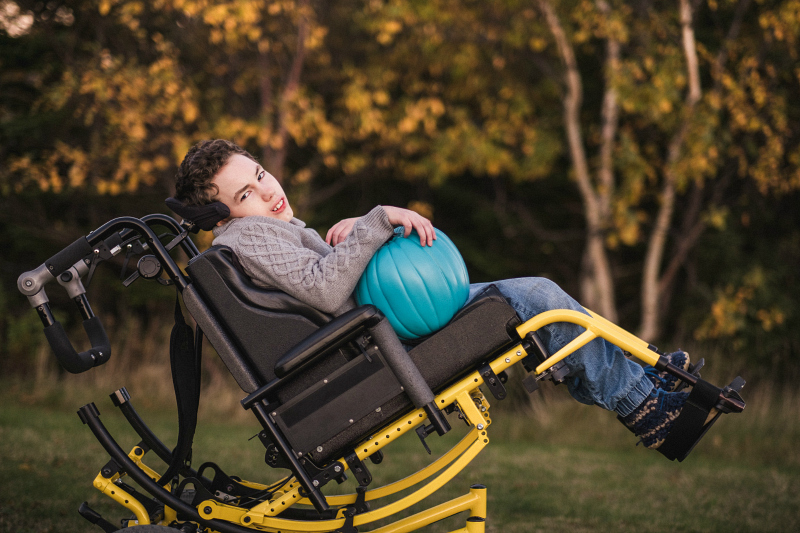 We are working to reach families across the country and around the world with the Teal Pumpkin Project’s message of awareness, inclusion and community. 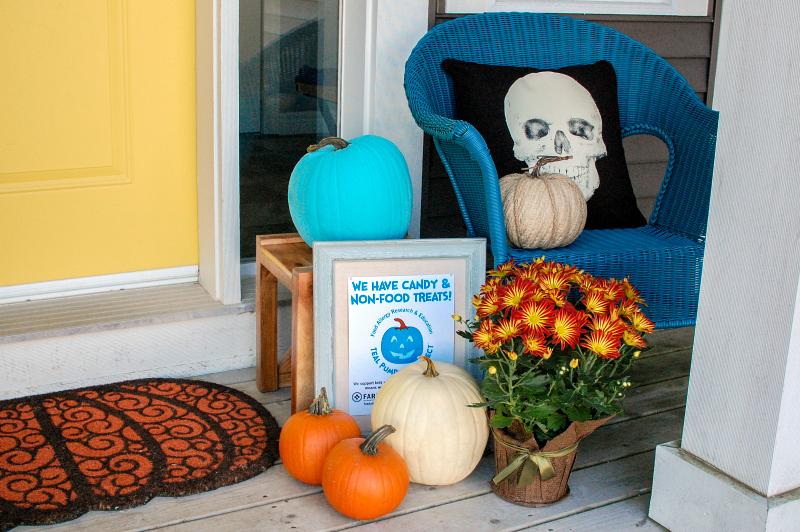 The Teal Pumpkin Project is a worldwide movement to create a safer, happier Halloween for all trick-or-treaters. Though the project was initially intended to benefit those with food allergies, I feel that it also applies to individuals and children dealing with intolerances, sensitivities and disorders that limit what they can consume. Children who may be tube-fed and do not eat by mouth, or who (like Brennen) do eat by mouth but don't chew well. Brennen does not eat candy or chips or any of the other common Halloween treats. He wouldn't know what to do with a lollipop and would probably choke on candy corn. Food Allergy Research & Education (FARE) suggests giving out inexpensive items such as glow sticks, bracelets, pencils, crayons, erasers, bubbles, stickers, bouncy balls, spider rings, etc.. The goal is not to eliminate candy. I will have a selection of the usual Halloween treats available for children who want them (and some for myself!). The aim is to provide an option for non-food treats to ensure that ALL kids have a happy Halloween. We always enjoy painting a real pumpkin, but it is great to see that you can now find teal pumpkins (like the one Brennen has above) in the Halloween section at Michael's Craft Stores, as well as lots of non-food items that are perfect for little trick-or-treaters! 1 in 13 children are diagnosed with a food allergy. Chances are, in your child's classroom or in your neighbourhood there is more than one family dealing with food allergies or other special dietary restrictions. Please consider participating in the Teal Pumpkin Project! It is a wonderful opportunity to teach children about the importance of inclusion, disability awareness, and food safety. It is not a matter of changing the tradition, it is a matter of making activities like Halloween more inclusive for all children. 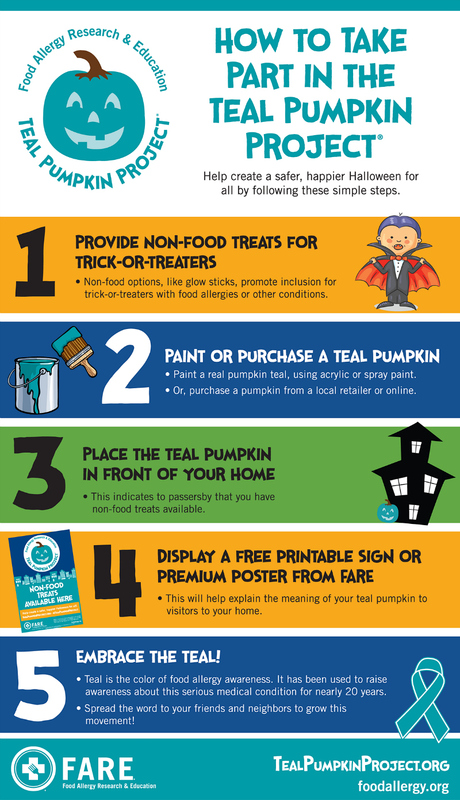 To all of you who will be placing a teal pumpkin on your doorstep this year, please know that you are contributing to something that is very important to parents and children with food allergies and other eating restrictions. I am so very grateful for homes like yours that help allow our kids to just be kids and to enjoy the magic of Halloween! If you've been following my Instagram, you may have already seen many of these photos. 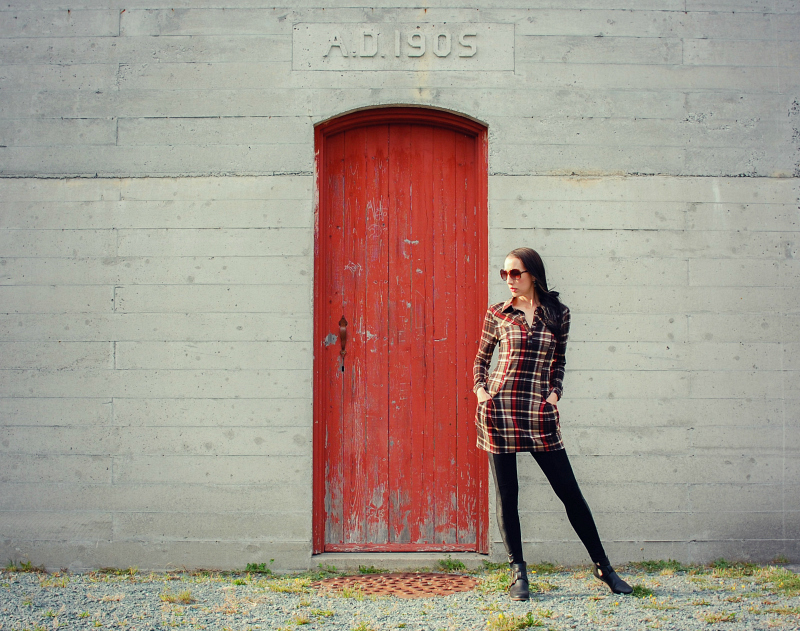 I have been partnering recently with Clothes Minded - a women's fashion boutique here in the East End of St. John's. 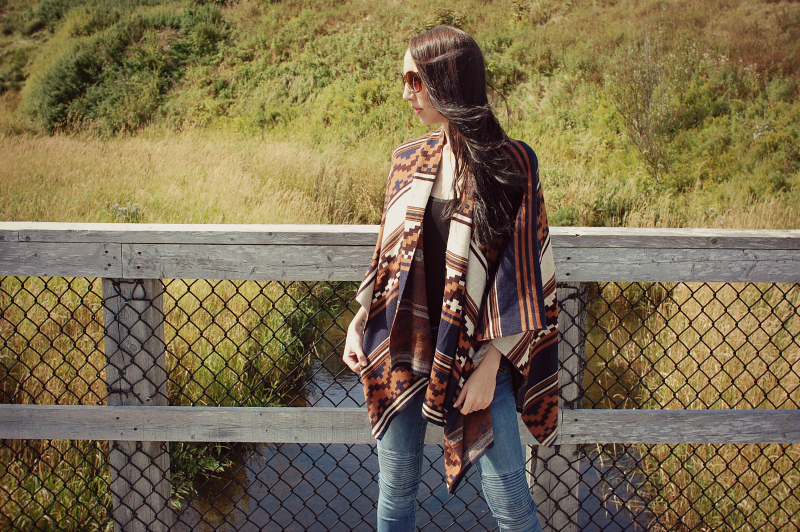 Clothes Minded is located on Stavanger Drive, just behind Winners, and it is my absolute favourite place in the city to find unique and well-crafted pieces to add to my wardrobe. The store is filled with many statement pieces that range from high-end fashion to everyday street wear. Because they only bring in a couple of the same item, I love knowing that when I shop here, I will come away with pieces that I'm not going to see on everyone else in town. This small boutique carries an eclectic mix of lines like Pink Martini Collection, Angel Eye London, Smash, Others Follow, Black Swan, Vintage Havana, Papillon, and Coco & Tashi, just to name a few! Owner, Nancy Garland says, "We try to focus on being on-trend but at the same time selecting styles that are timeless and that will bring you into the next season easily by just adding or eliminating a layer. We are very honest in helping our customers shop for the styles that look amazing on them, and that they feel amazing in when they wear them. We want our customers to enjoy their shopping time instead of walking away feeling frustrated because they didn't find anything that they felt good in. I believe that all women are beautiful, no matter what size they wear or how old they are! We all deserve to feel beautiful." I love helpful store owners like Nancy, and I love how she curates her store with such careful attention to the tastes of modern women. I agree with her. We all deserve to feel beautiful. We've got a lot on our plate as Moms, and we sacrifice a lot to make room for the needs of our families. 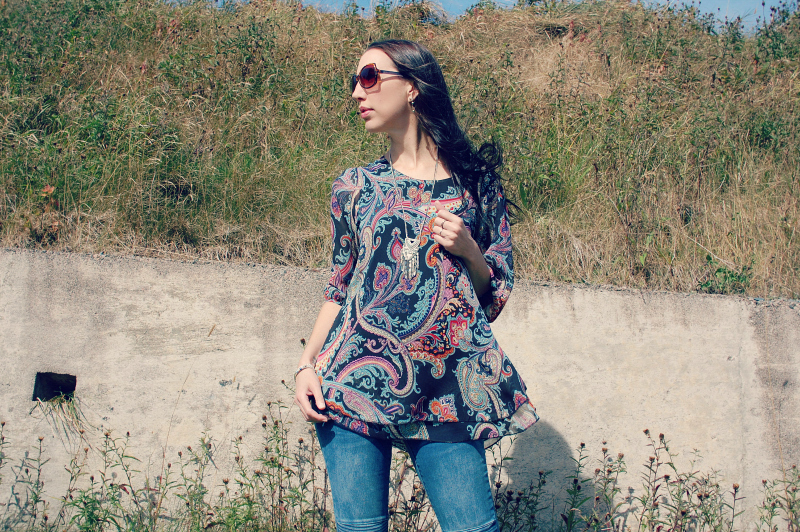 It's ok to do something nice for ourselves once in a while, and to do a little something to make ourselves feel good.. so get yourself up to Clothes Minded Boutique! I am certain you will fall in love with the store, and you may just fall in love with yourself all over again! Here are some photos of what's in-store now! 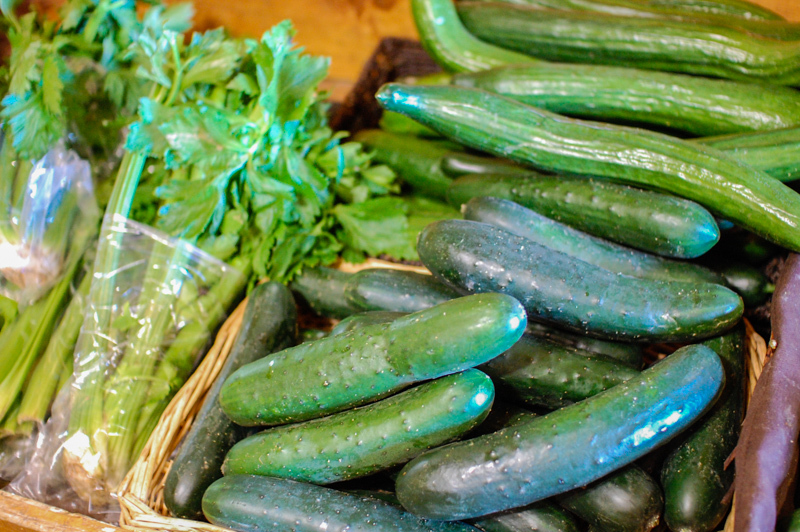 Eastern Health has recently launched a new Vegetable and Fruit Public Awareness Campaign. Eastern Health has identified the need to promote vegetables and fruit based on low consumption rates here in our province. 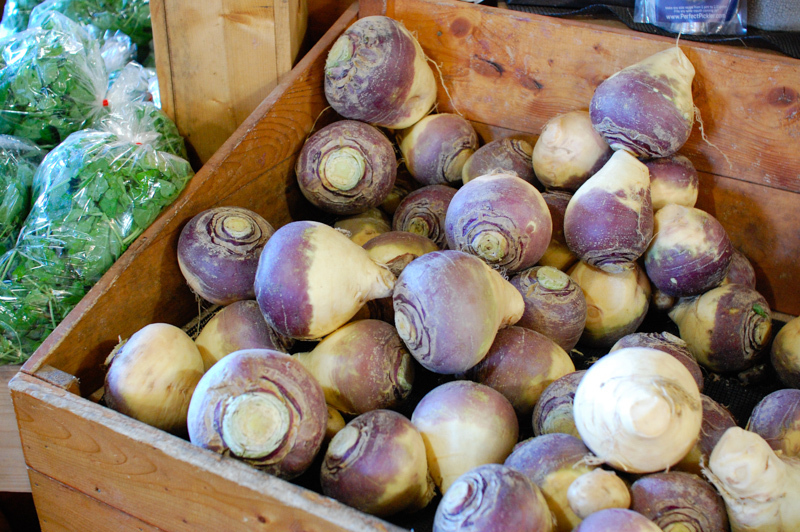 I was disappointed to learn that compared to the rest of Canada, the intake of vegetables and fruit in the Eastern Health region is well below the national average. 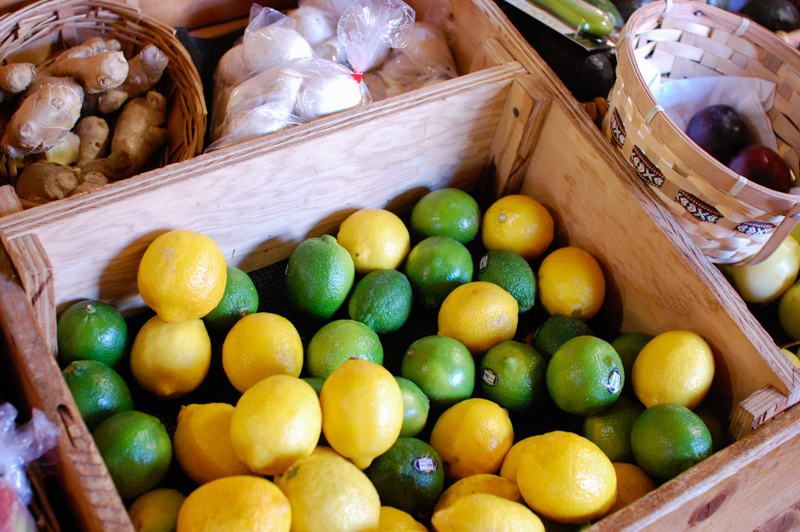 There is no disputing the positive impact that fruits and vegetables have on an individual’s health. Healthy eating is a key element in human development, reducing the risk of chronic disease and contributing to overall health and vitality. 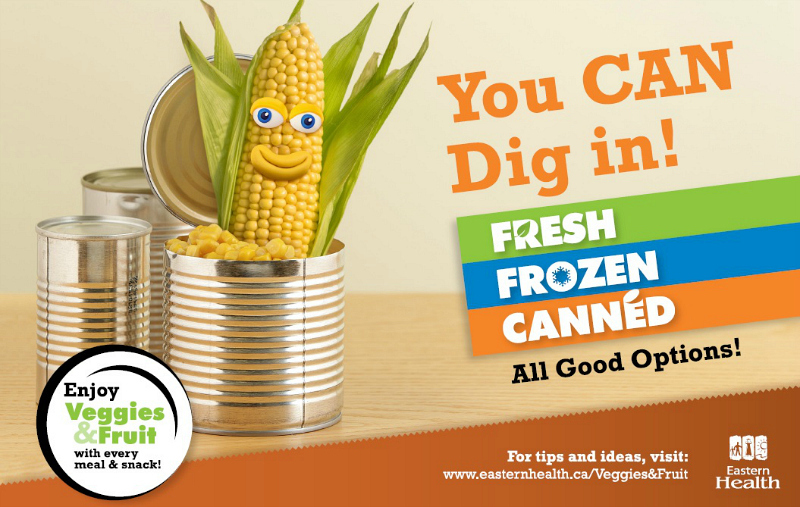 This new awareness campaign promotes the consumption of fresh, frozen and canned vegetables and fruit, and is targeted to parents and caregivers of children between the ages of five and thirteen. The goal is to help parents and caregivers become more aware of their options and to learn ways to enjoy vegetables and fruit with every meal and snack. Fresh, frozen, and canned are all good options! Listen, I get it. Parenting is hard and life is busy and it can be challenging to try and do all of the things that we know we should be doing for our families. 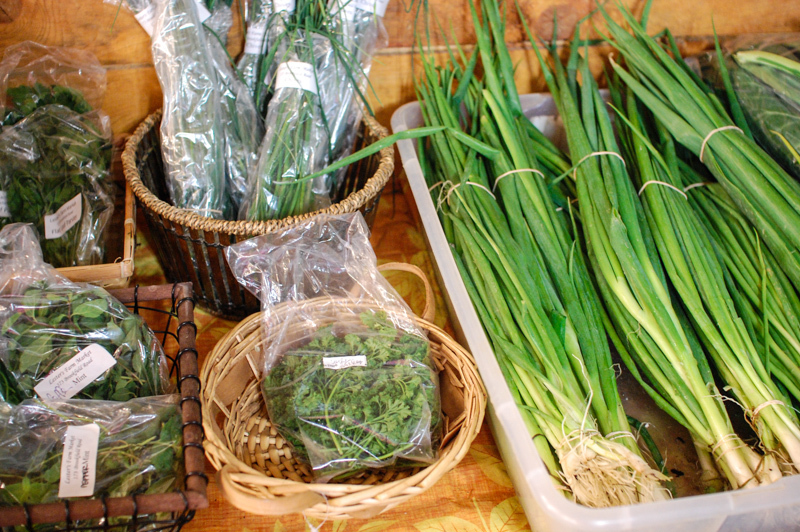 Healthy eating with farm-fresh ingredients should be a priority, but sometimes we let it slip. I'm with you. It can be difficult coming up with new recipes, and it is a total pain having to go to the grocery store every single day, but there are ways around it! Keep canned and frozen vegetables on hand. 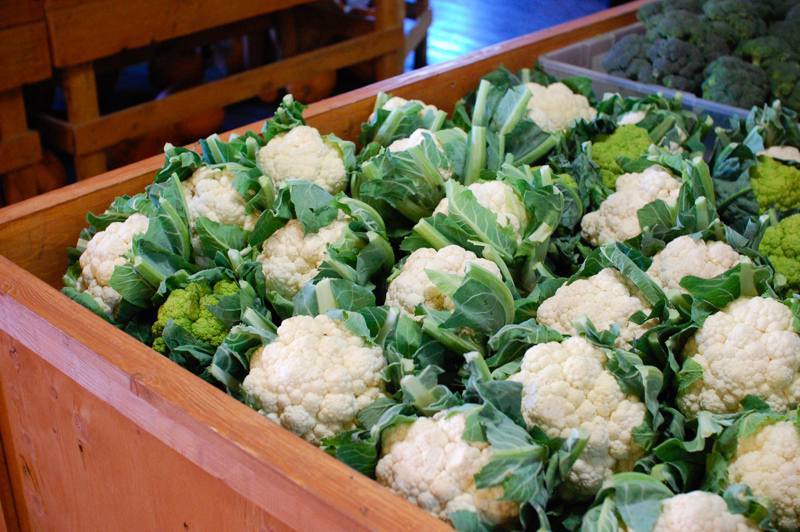 Stock up on fresh veggies when they are in season, and when preparing a meal, cook extra and freeze it for later. Your future busy self will thank you! 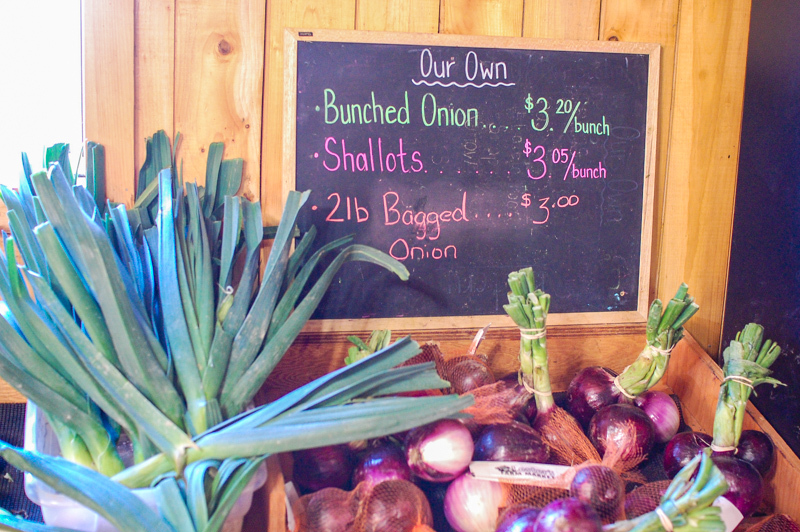 Make shopping for produce more enjoyable by visiting a local farm or farmers market. Challenge your family to explore new tastes and flavours. Get your children involved in meal preparation. Try new things, and have fun in the kitchen! You will be healthier and happier because of it! 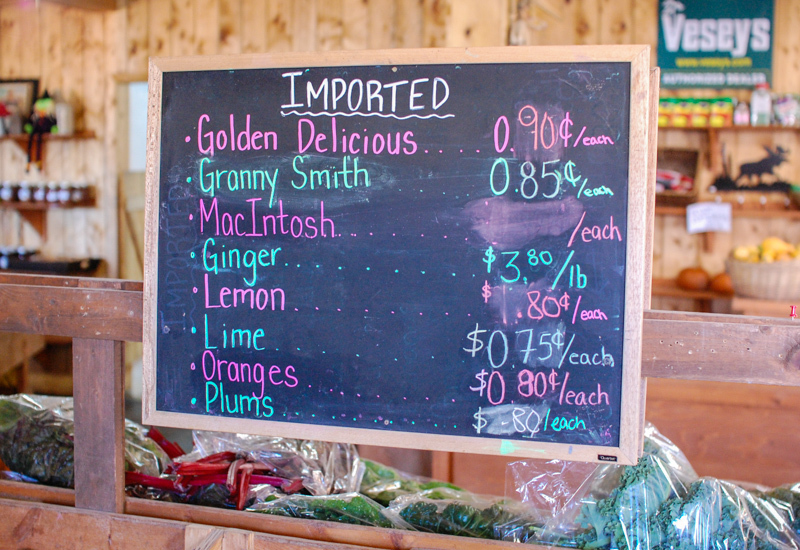 We visited Lester's Farm Market recently. 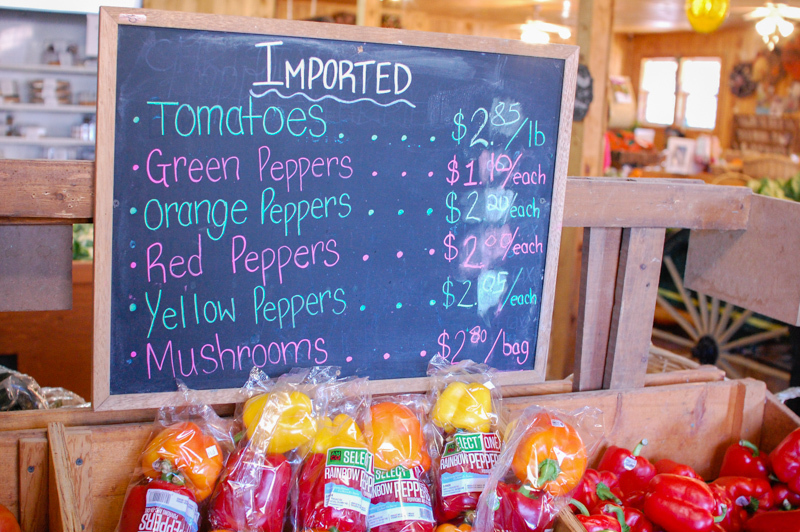 Their produce is so fresh and beautiful - it is harvested daily and placed on the shelves within hours! 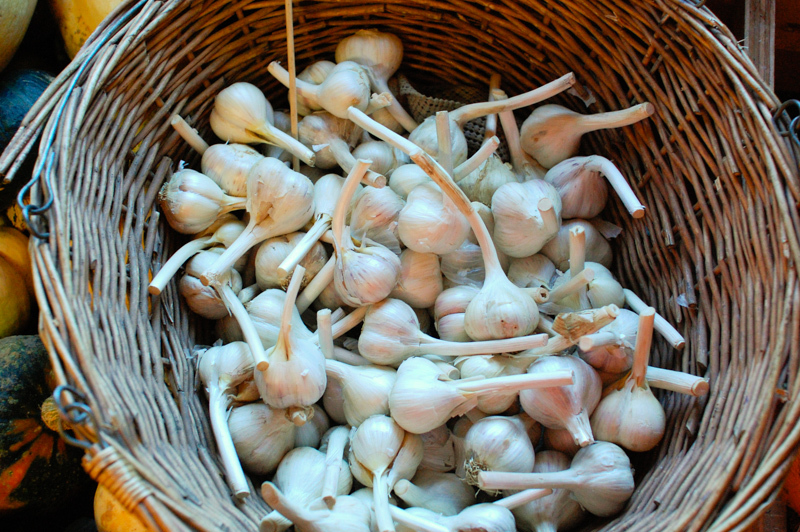 Once again, I was amazed at some of the things they grow that I had no idea were grown in Newfoundland. 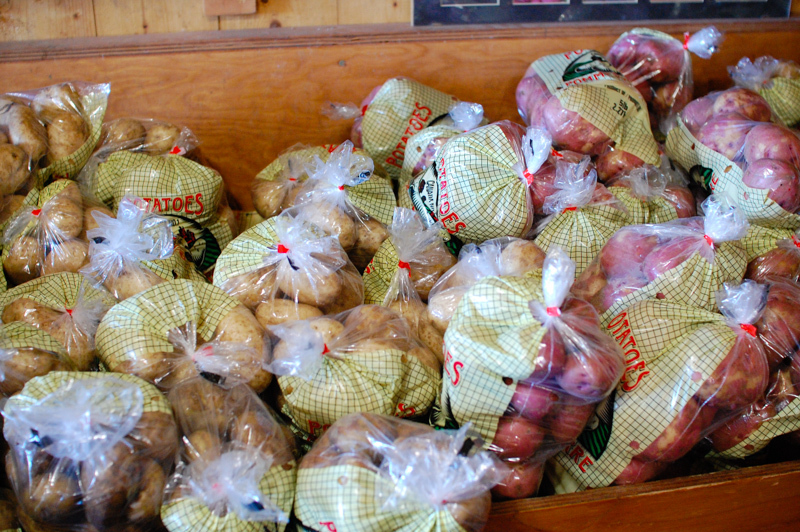 We typically think of potatoes, carrots, turnip, and other root vegetables that are hearty and are able to survive our harsh weather conditions, but with the help of greenhouses and new farm technologies, Lester's Farm has been the first in Newfoundland to grow crops such as corn, melons, sweet potatoes, artichokes, asparagus, and more! 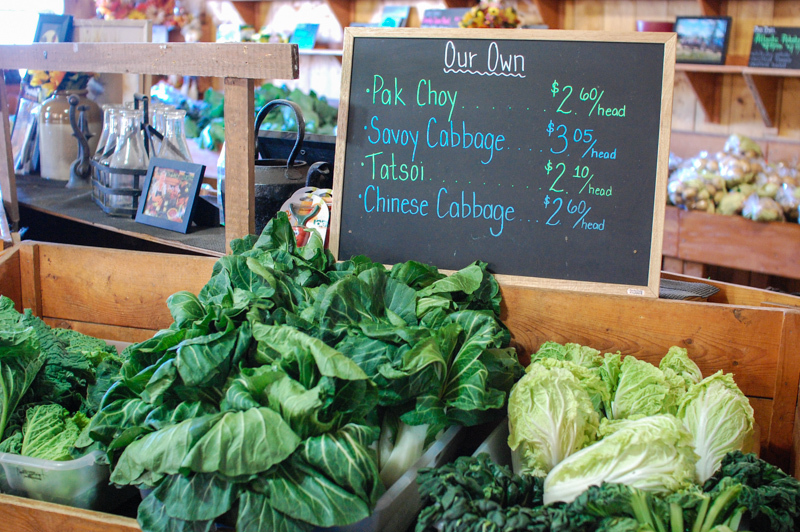 They also have an impressive selection of locally grown Oriental veggies! We have been so fortunate with Brennen, in that despite his many challenges, he is super healthy and hardly ever gets sick. I'm sure a lot of that has to do with the fact that he eats so well, and eats such a variety of fresh fruits and vegetables. We will continue to expose him to new tastes and flavours, eating with him the most nutritious meals we can provide, and bringing better and healthier habits into our home!